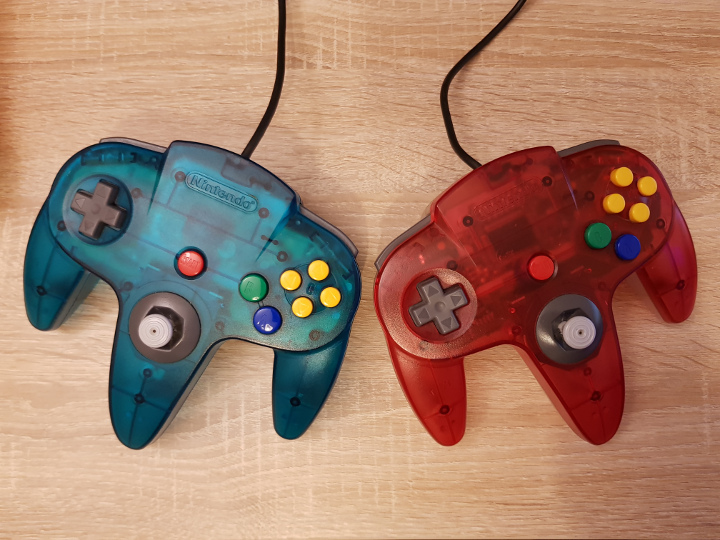 There’s nothing quite like playing N64 games with your friends – the N64 does come with four controller ports after all! It’s even better when you can team up. 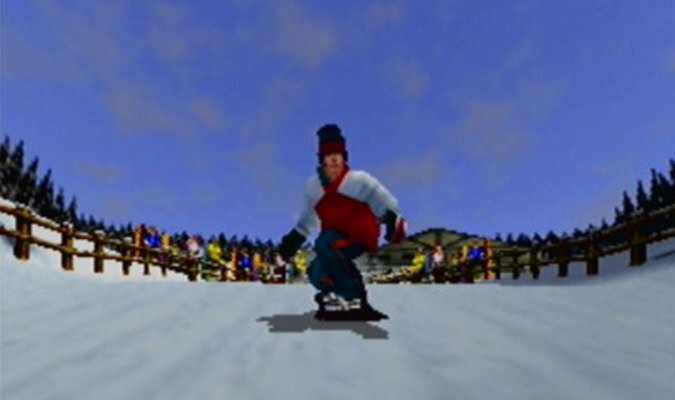 That’s why we’ve compiled a full list of N64 coop games. 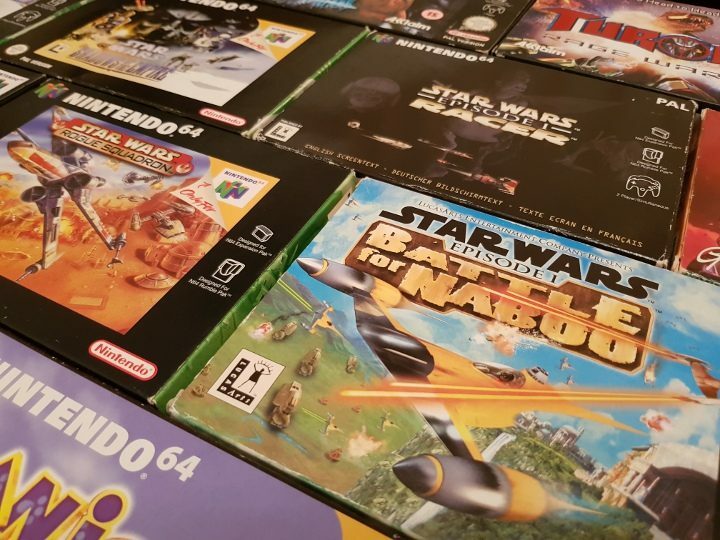 These N64 coop games enable you and at least one other person to team up to play through the story/main mode of a game. Each taking on the role of a super-soldier, you and another player can team up to battle bug-like aliens that have invaded the world in splitscreen coop. 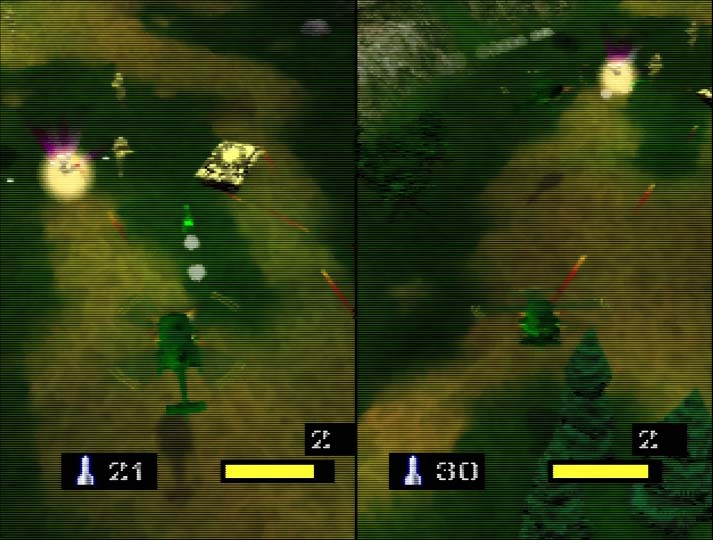 Two players can battle through Army Men: Air Combat‘s 16 missions, combining their firepower to defeat the Tan Army. Each player can choose their own helicopter, although there isn’t much of a strategic advantage in each picking a different one. 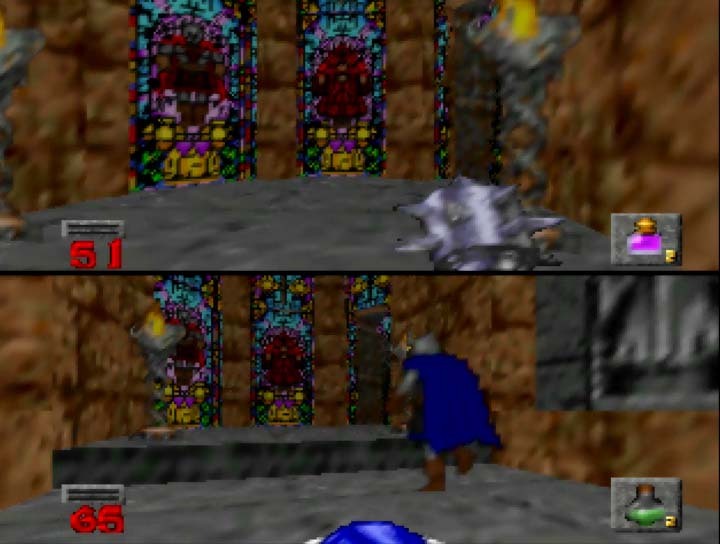 This is a splitscreen mode, and players are not tethered in any way. BattleTanx: Global Assault’s action-packed campaign mode – with its heavy emphasis on blowing up enemies, buildings and even famous landmarks – can be enjoyed with another player. 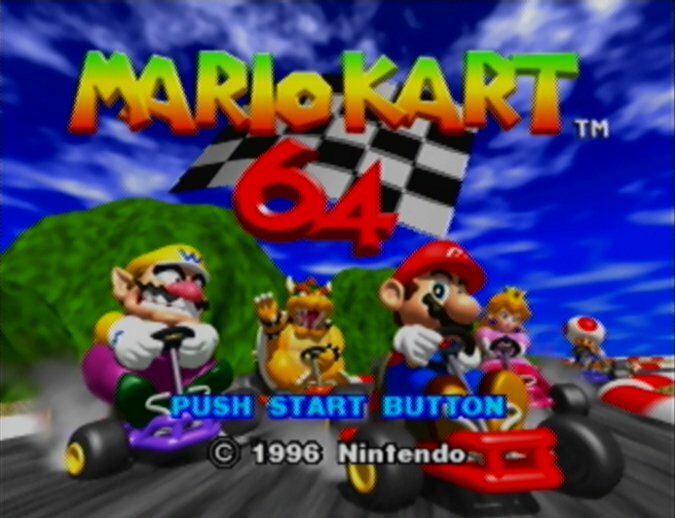 It’s one of the best campaign N64 coop games, and you can even team up against AI opponents in the many versus multiplayer modes. 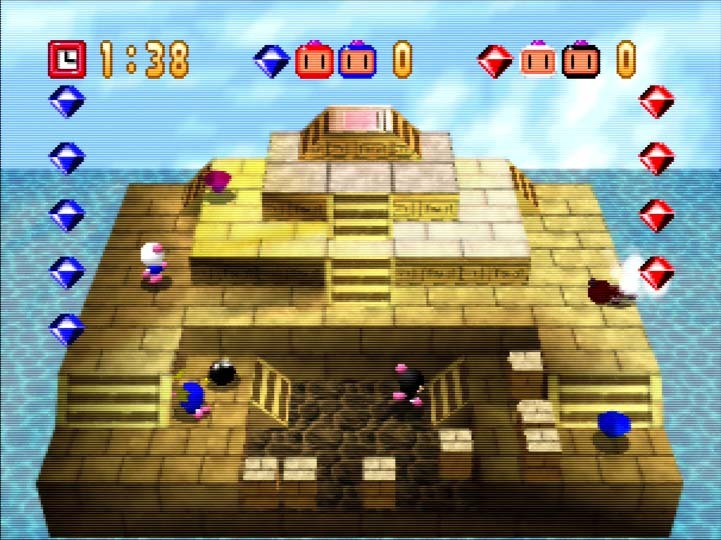 A second player can assist Bomberman as Pommy, a small Kirby-like creature who can stun enemies and collect items. 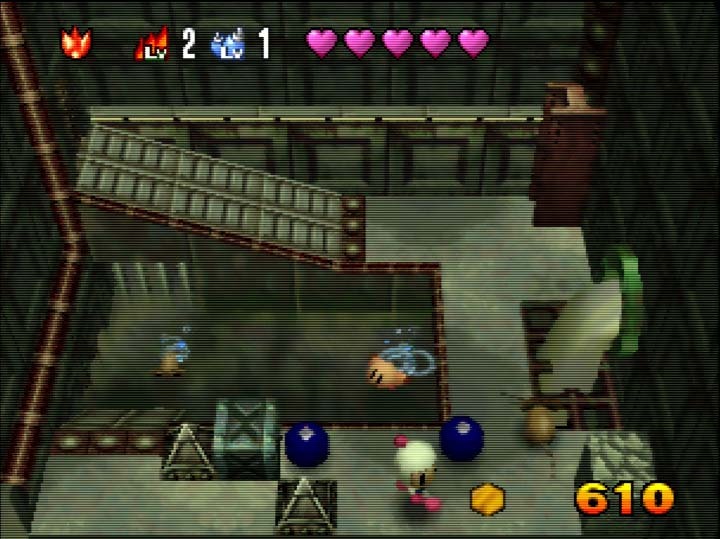 By collecting food items, it’s possible to evolve Pommy into new forms and give it new abilities. Pommy can’t partake in boss battles, and so the second player unfortunately has no choice but to sit these out. 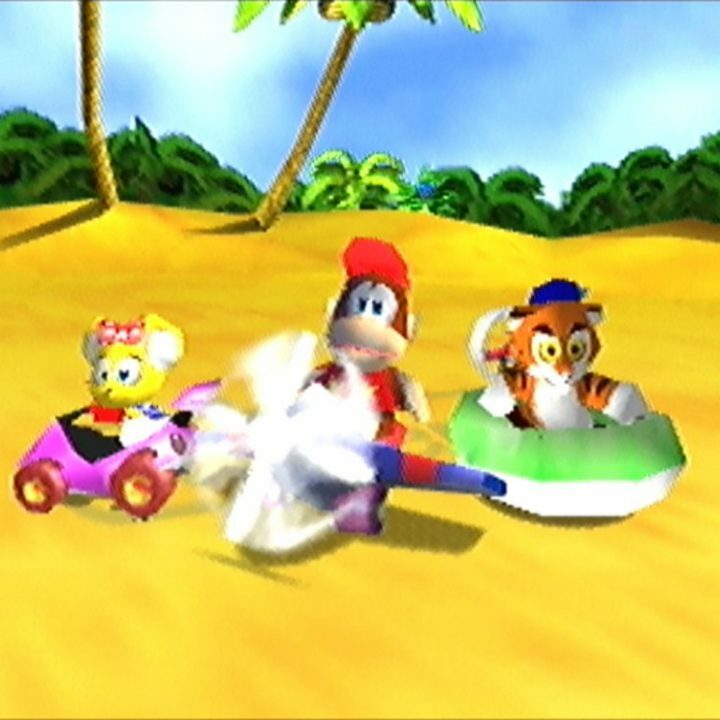 By default, Diddy Kong Racing isn’t a coop game. 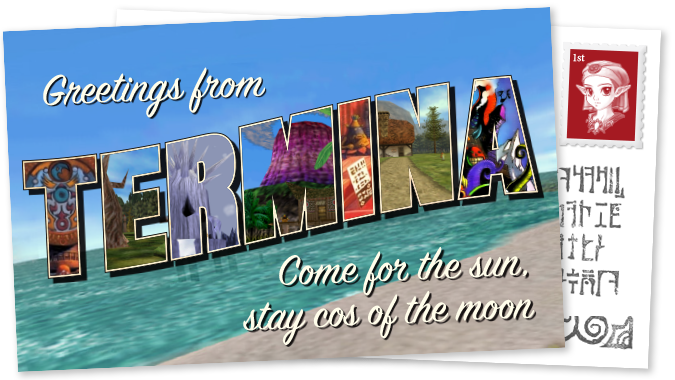 However, pop in the cheat code “JOINTVENTURE” and you and a buddy can play through the game’s adventure mode. You can both compete in all races and challenges, with the exception of boss races. Moreover, only one player can drive around the island at a time. 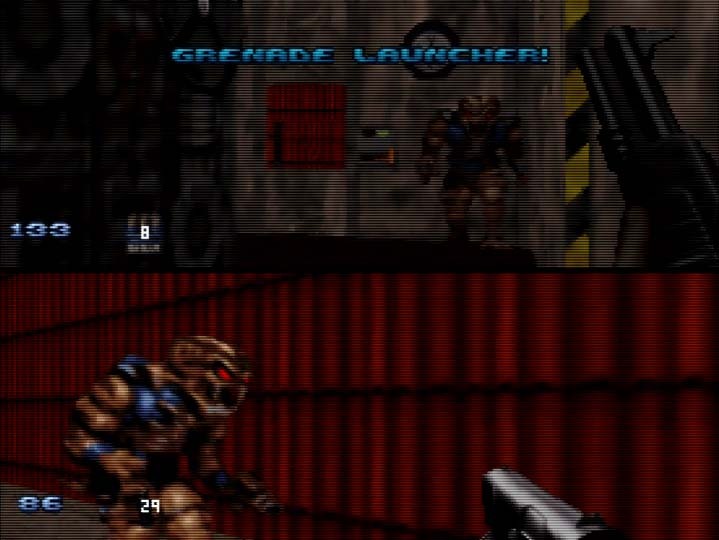 Double up on Duke across 30 levels in Duke Nukem 64’s story mode. Players pick up access keys (used to progress within stages) separately from one another, meaning only the owner can open locked doors. Provided you’ve both got the patience, you and a friend can work your way through Core Design’s painfully sluggish coop beat ’em up. 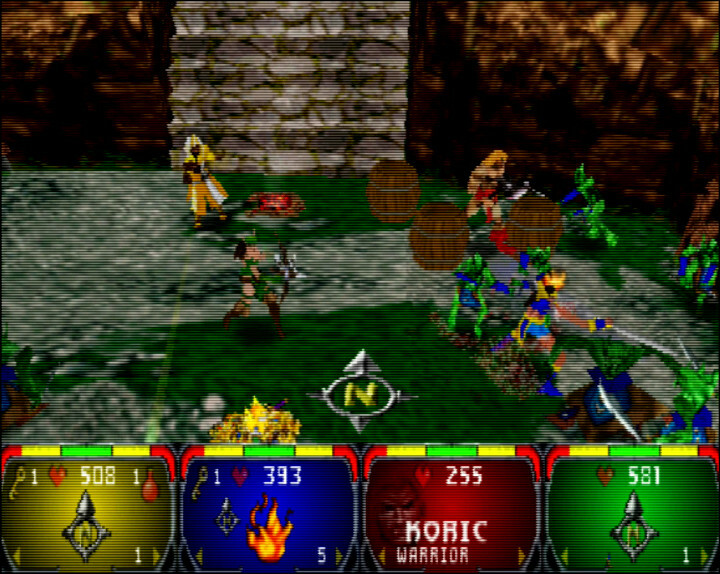 Gauntlet Legends is designed first and foremost with multiplayer in mind, making it one of the best N64 coop games. Up to four players can work through the story together. There are four playable characters (and five hidden characters, which are essentially skins for the standard cast), and you can play as the same character as another player. 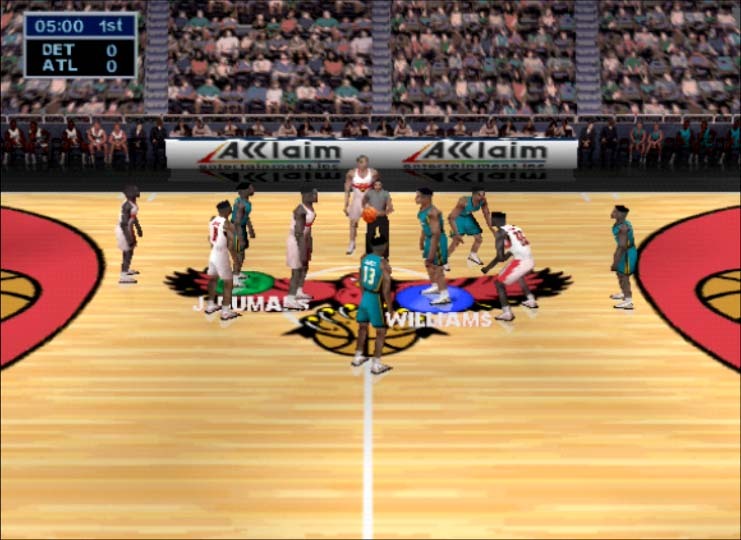 All players share a screen and are tethered in terms of movement. 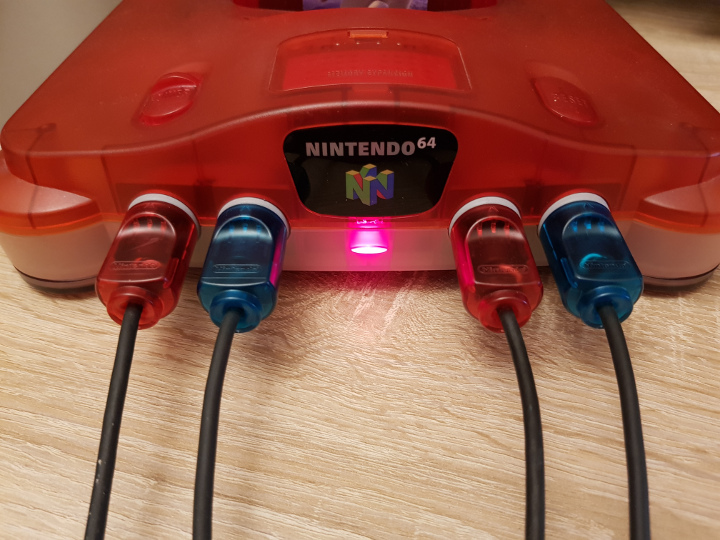 You need an N64 Expansion Pak to play with four players. The full story mode can be played in two-player coop. 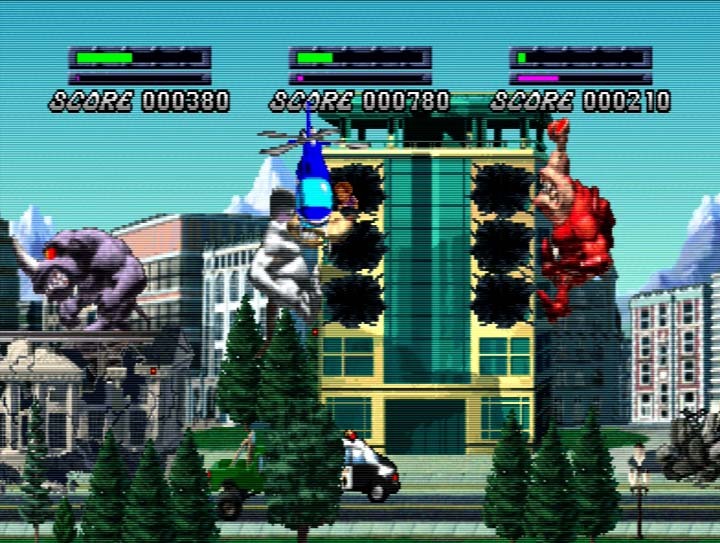 After fully completing the game by collecting all 44 Entry Passes, you can play with up to four-players by inserting additional controllers and pressing C-right and Start on them. 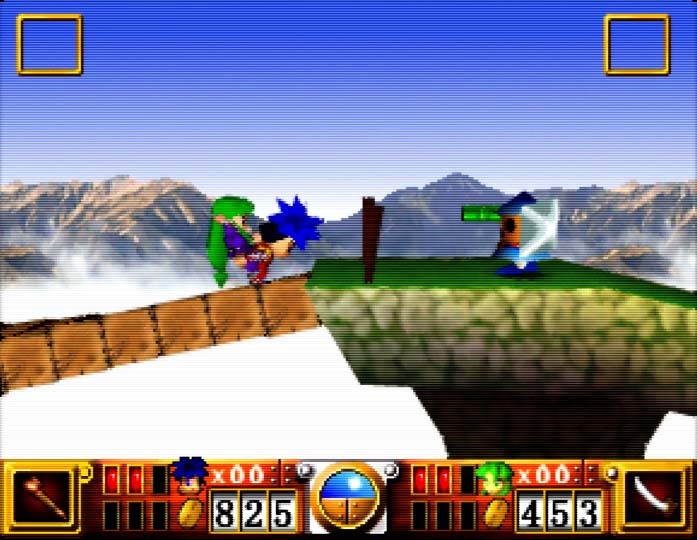 Goemon’s Great Adventure’s piggyback mechanic means one player can carry the other on their back through the stages. The riding player is then able to attack using melee and projectile weapons. 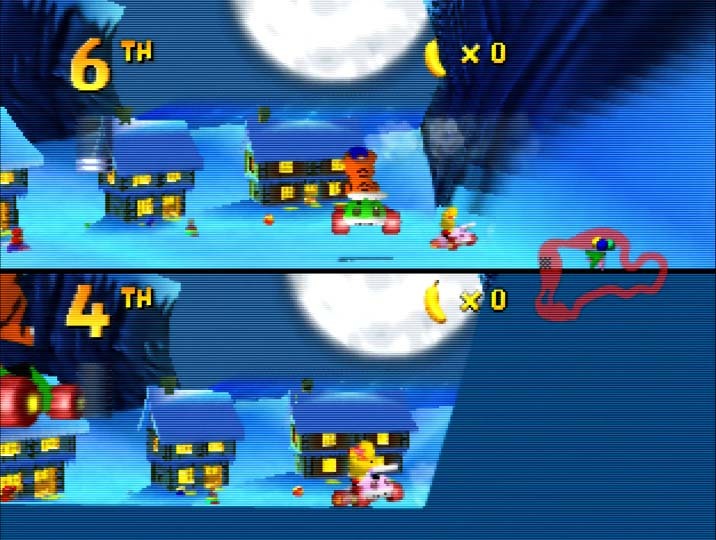 Both players are tethered, and can only move a certain distance away from one another. The game features robot battles that take place from a first-person perspective. 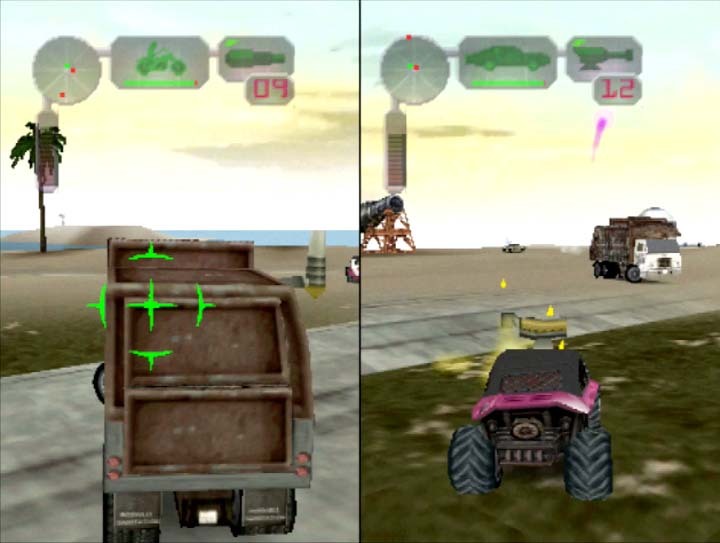 In these instances, one player controls one of the robots from this perspective, while the other commands a robot in the background – this player can only do a few actions (jump, strike and shoot) and move along a limited, fixed path. 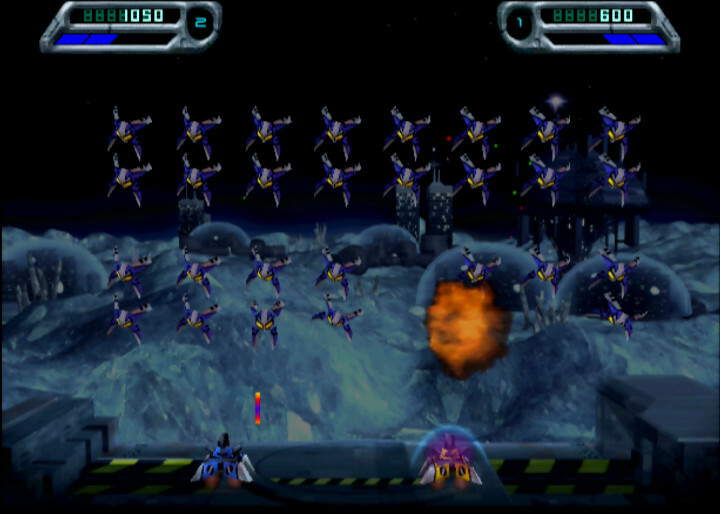 Pressing R as the primary robot launches a baton, which when lined up correctly allows players to switch perspectives. Up to four players can play through Hexen’s entire campaign mode in splitscreen coop. There are three different character classes to choose from, each with different strengths and weaknesses, meaning there’s some strategic value in players choosing different characters. While the game does support four players in coop, Hexen is best enjoyed with two people, due to screen size and technical performance. 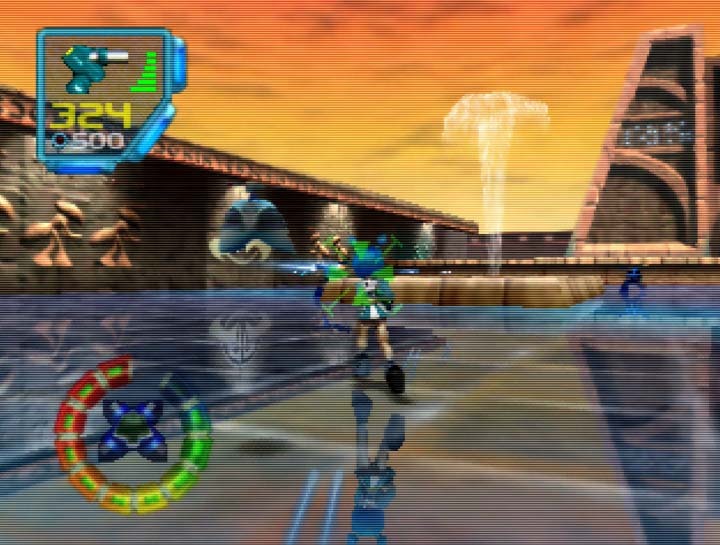 You must unlock coop in Jet Force Gemini by finding Floyd’s three missing parts in the “Bridge” zone of the planet Tawfret. The second player controls Floyd, a robot that hovers next to the main player. 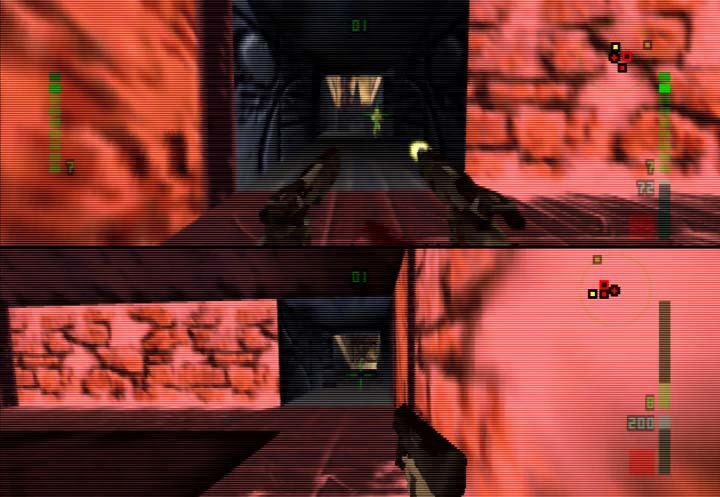 The player controlling Floyd can aim and shoot, but only has one weapon, and is unable to move or take damage. 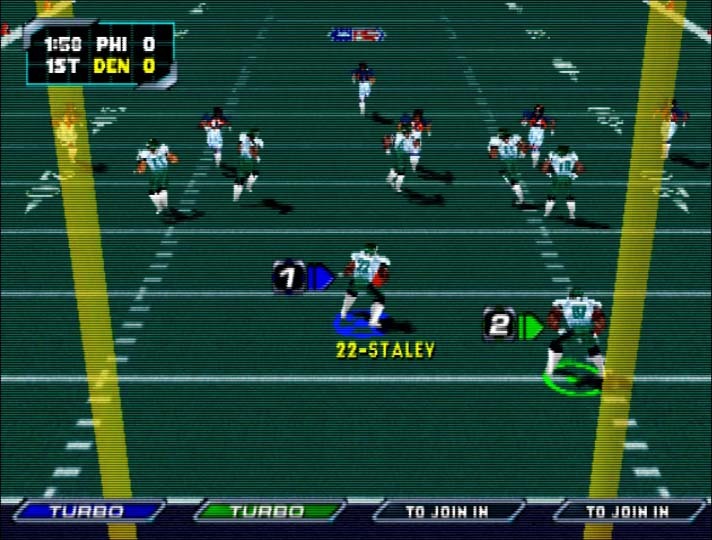 Team mode allows up to four players to play cooperatively through the game’s story mode. Knife Edge: Nose Gunner is an on-rails first-person shooter (imagine a light-gun game, but without the light gun!) in which you’re the gunner aboard an automatically piloted ship. 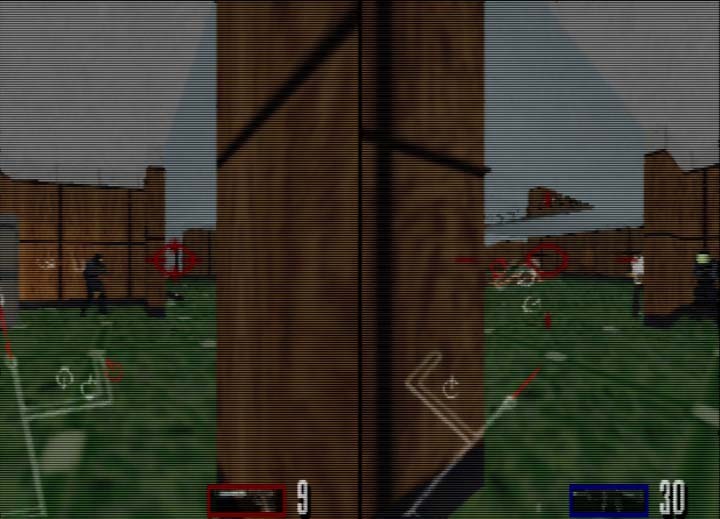 You shoot at enemies by aiming an on-screen cursor and firing, and each player is given one that uniquely shaped and coloured to prevent confusion. Your primary weapon, the Vulcan Cannon, has unlimited ammo and each player can fire their cannon continuously and independently. However, all players are in the same ship and, as a result, share the same hit points and special weapons. Also, players are unable to use the same special weapon simultaneously. 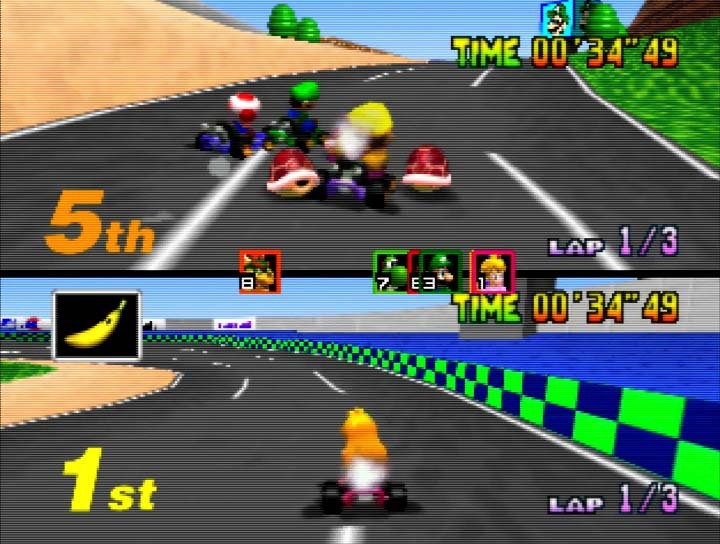 Mario Kart 64‘s Grand Prix isn’t strictly designed as a coop experience – each player’s performance is scored individually, and you can very easily attack one another with items. 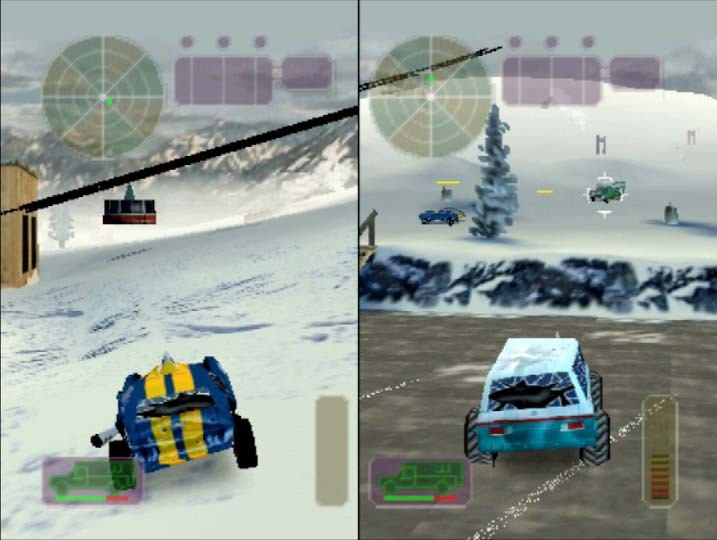 Nevertheless, you and a friend can choose to team up to secure a podium finish and earn trophies, even if that means one player ultimately sacrificing themselves in the process by staying back and targeting opposing AI racers. 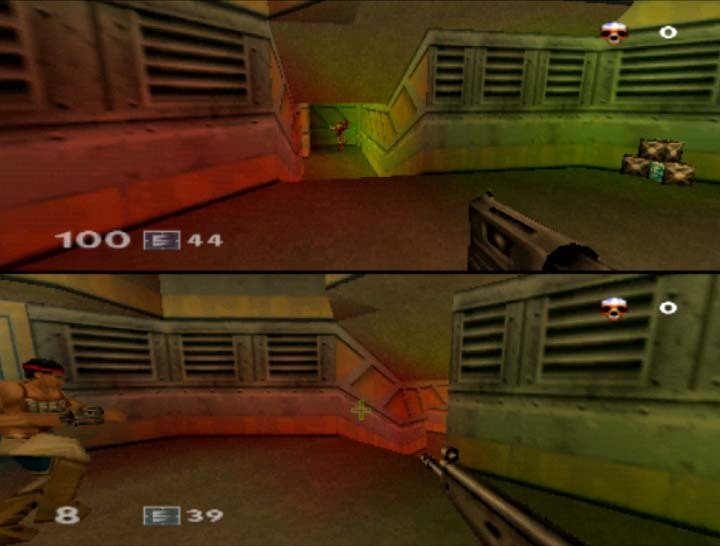 Rare’s 2000 first-person shooter is by far one of the most comprehensive N64 coop games. Taking on the roles of Joanna and Velvet Dark, you and another player team up to unravel and put an end to a conspiracy of intergalactic proportions. 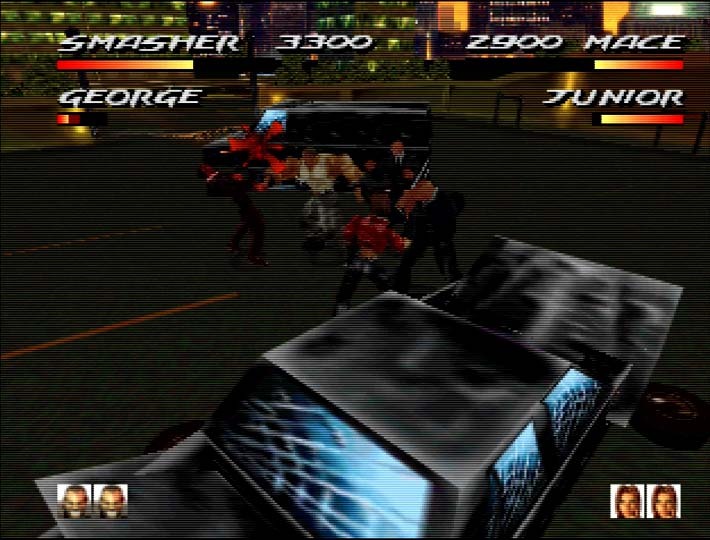 You can both play through 20 of the game’s missions (the bonus mini-mission, “The Duel” cannot be played cooperatively) across all three difficulty settings. 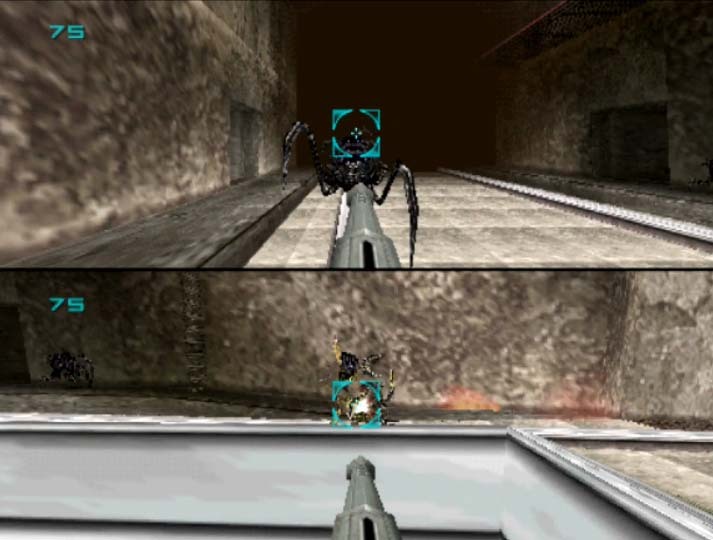 Interestingly, Perfect Dark features a “Counter-Operative” mode, in which one player assumes the role of enemy guards and tries to stop the other player from completing the mission. Join forces with a friend in Rainbow Six, and both become part of an elite counter-terrorism unit. All 12 missions are fully playable in coop, and you can have two more AI team mates as part of your squad. Up to three players can take control of troublesome monster trio George, Lizzie and Ralph, and go on an absolute rampage across the world in this 2D side-scrolling smash ’em up. 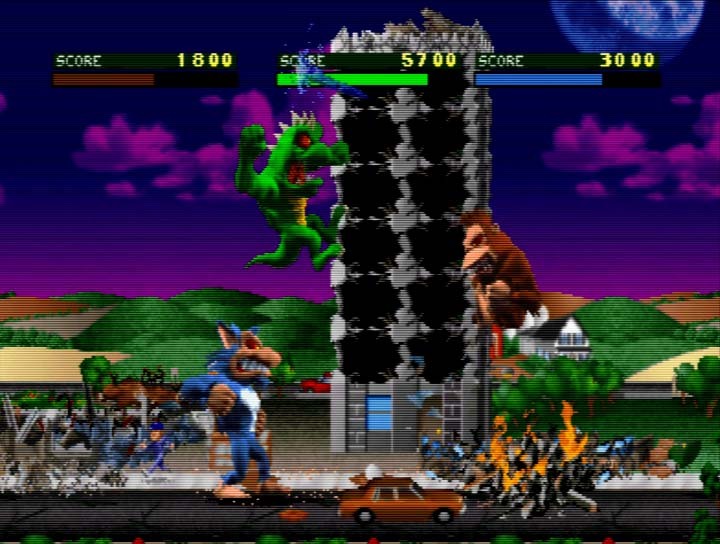 Featuring a similar premise to the first game, Rampage 2: Universal Tour also supports cooperative play for up to three players. Two players can battle their way through the game’s campaign (if you can call it that). 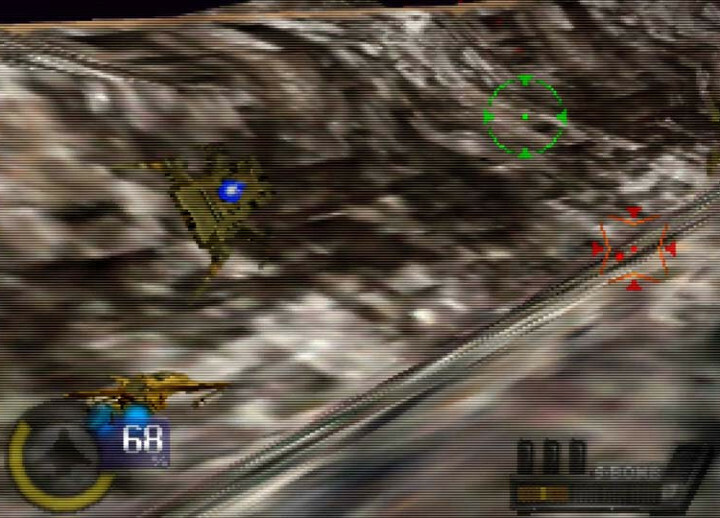 Turok: Rage Wars’ Two-Player Trials mode is a coop arena deathmatch experience in which both players face off against rival teams of bots and boss characters. 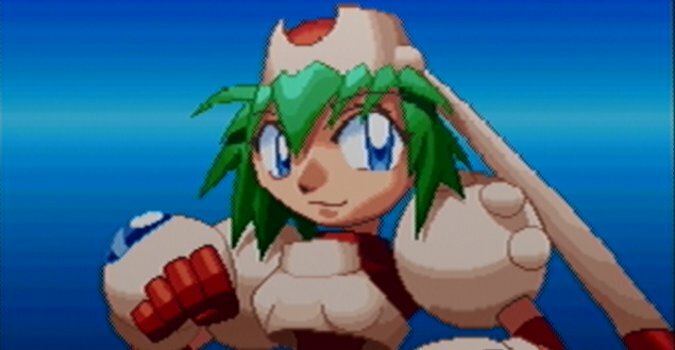 One particular version of the game (NTSC, black cartridge) suffers from a glitch that prevents you from completing one of the coop missions. These games have coop modes that are different from their main story modes. 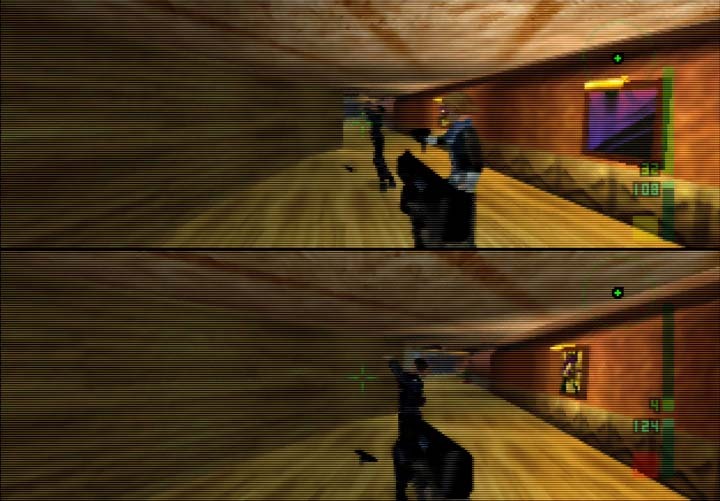 Perfect Dark’s Combat Simulator mode (deathmatch) features challenges – 30 scenarios in which you and up to three other players are pitted against AI-controlled simulants. 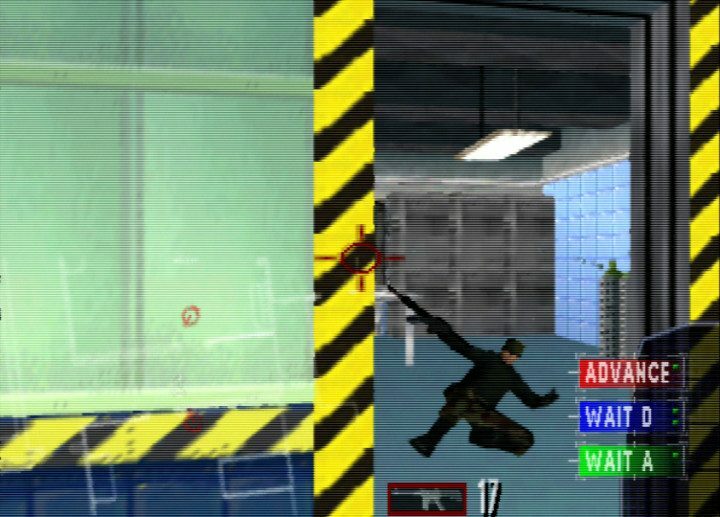 Completing theses challenges unlocks new features, weapons, maps and options in Perfect Dark’s deathmatch multiplayer. 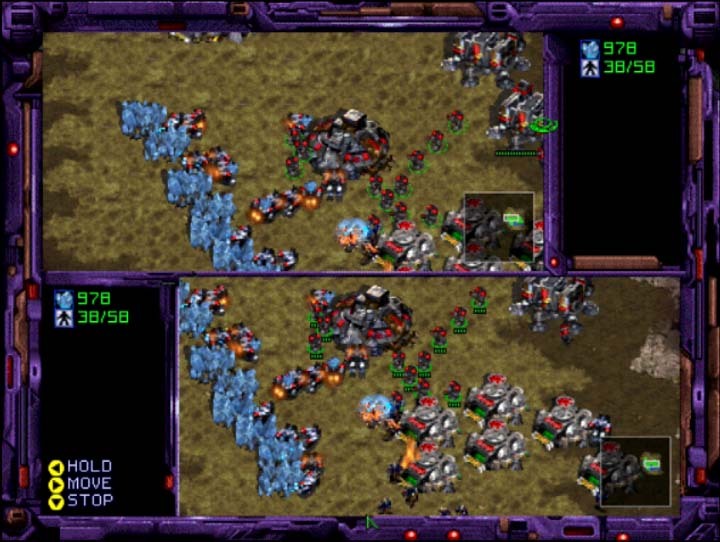 Unusually for a real-time strategy game, StarCraft 64 features splitscreen multiplayer for up to two players. You can choose to have your own armies, but sharing a base, units and resources is where the real coop experience is at! Indulge in deadly vehicular combat with a friend at your side. Both players must survive to win, so you really need to look out for one another. 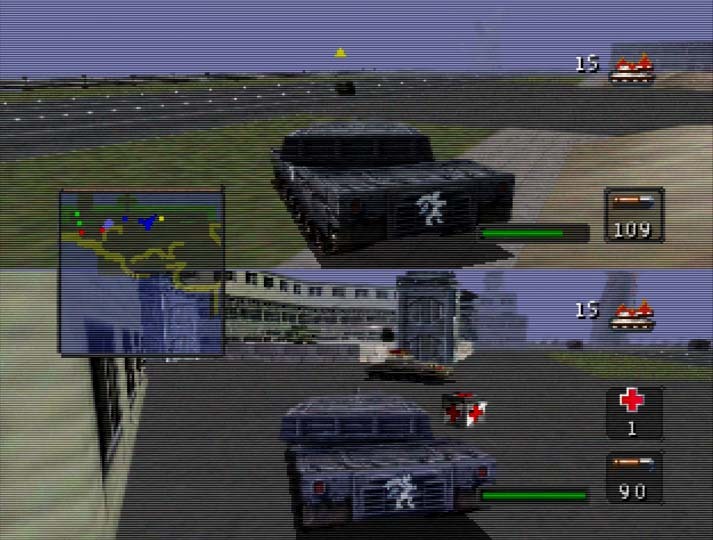 This sequel offers a similar mode to the first game, albeit with different locations and vehicles. 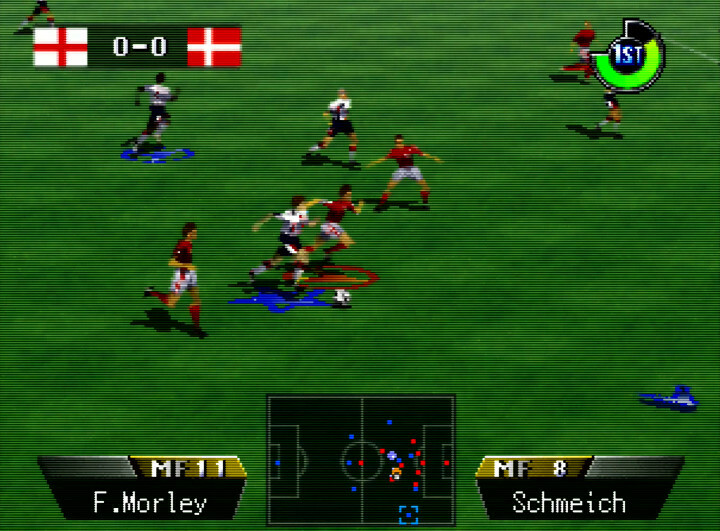 Michael Owen’s WLS 2000 / Mia Hamm 64 Soccer / RTL World League Soccer 2000 / Telefoot Soccer 2000 (up to two players only). WWF WrestleMania 2000 (Exhibition mode tag match only). 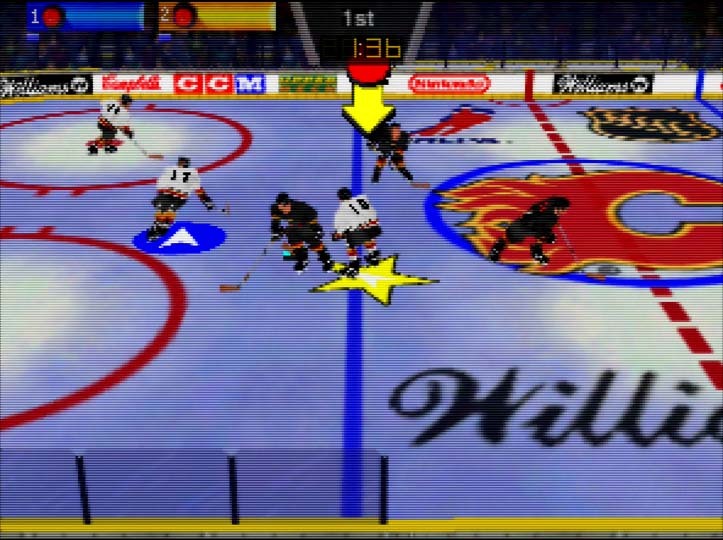 What are your favourite N64 coop games? 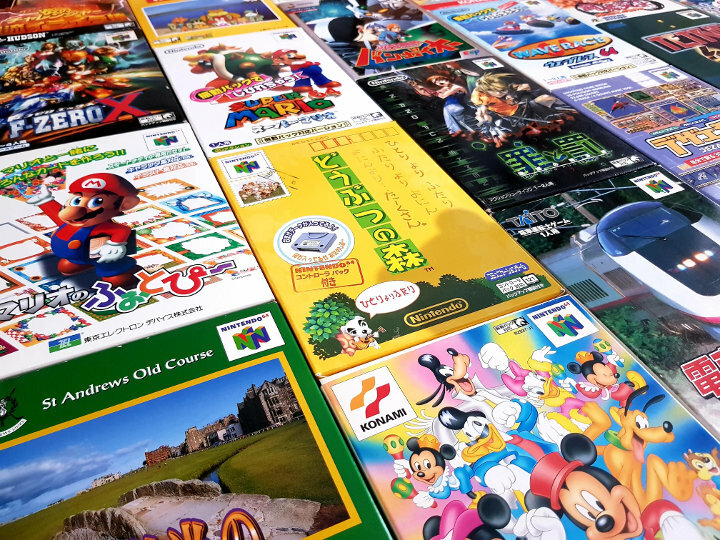 Let us know your favourite N64 coop games on Facebook or Twitter.